Happy Thursday, everyone! I love awesome local 5k’s and recently, Jackey and her family participated in a fantastic one: the Buffalo Bills 50 Yard Finish 5k! 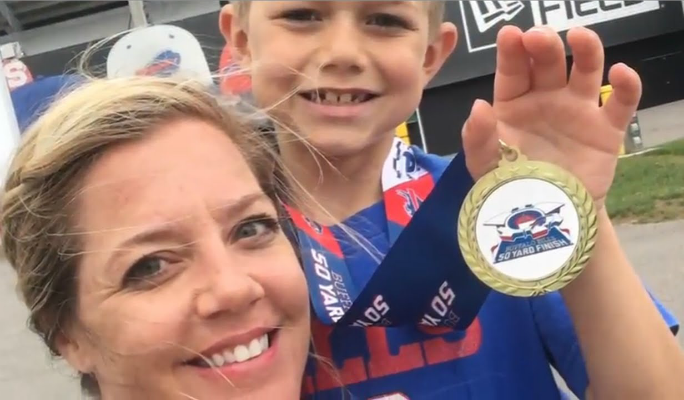 Her youngest son got in on the action as well by running the kid’s one-mile race and she recently shared her experience over at our YouTube channel with this awesome video recap! Be sure to check it out and if you’re thinking of training for your first 5k, here’s some tips I offered back in January! Take care and have a joyful day!